EBS-Econotel Business Systems is a Certified Minority Company and a Woman Owned Telecommunications Company that is service driven and results-oriented. Our experienced staff is ready to assist you with all phases of planning, design, installation and maintenance for a powerful converged telecommunications network for voice, video and data telecom systems. We have certified technicians on staff to ensure that your needs are handled as quickly as possible. Find out why customers who do business with our telecommunications company become CUSTOMERS FOR LIFE. EBS began providing telecom service to businesses geographically located within the Boston and Providence telecommunications arena over twenty-five years ago. EBS has earned a solid reputation as a Superior Telecom Company in serving the telecom service needs of not only in Rhode Island and Massachusetts but through Premier Partnerships with ShoreTel and Vertical, EBS provides telecommunications and telecom service to businesses Nationwide as well as Internationally. EBS is here to assist business companies nationwide: evaluate the central data infrastructure of their telecommunications service network, simplify their Core Data Network and generate significant savings for the Business Client. EBS stands out as a leading telecom company not only because of superior technology through the company ShoreTel and AVYA telecommunications but because EBS delivers customer satisfaction. EBS telecommunications company was built by ensuring that telecom service solutions and technology performance exceed customer expectations. 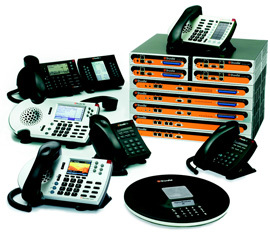 ShoreTel solutions have received many accolades and world-class customer service satisfaction ratings. EBS knows that a telecommunications service is more than just architecture. 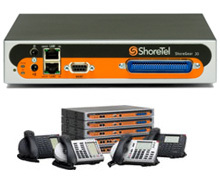 ShoreTel complements its telecom service and design leadership with equal strengths in ease of use, customer service and support, and an exceptional commitment to customer satisfaction through Premier Partnership with EBS telecom company in the New England, Massachusetts, Boston and Providence telecommunications region as well as Nationwide. At EBS "Customer focus" is not a slogan; it's our way of doing telecommunications business. We have oriented our entire telecom service company to focus on customer satisfaction, which we rigorously monitor, measure and constantly strive to improve. Never again be controlled by a less than satisfactory telecom service that doesn't meet your business needs. EBS can help any company prepare for the future, communicate better and improve productivity with ease of use, simplicity of management, high reliability, scalability, strong disaster recovery capabilities, and a rich feature design.